US STOCK! Free Shipping!Fast Delivery! Don't be scared to let your little one use an iPad anymore. Introducing a kid-friendly iPad cover made for Apple iPad 2, 3, 4, and mini, and these cute cases, made from non-toxic dense EVA foam, protect your electronic device, cushioning and absorbing shocks from drops, bumps, and reducing scratches. These nifty cases available new and used on eBay also include a kick-out stand for smudge-free entertainment. Is this kid-proof iPad case waterproof? Shock-absorbent material: The cases are made from non-toxic EVA foam that takes the blow of a fall in place of your device. Access to ports and camera lens: Know that you can always take pictures or listen to audio, even with the case on. 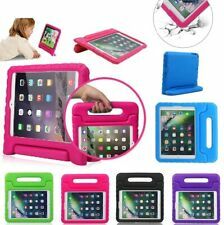 The iPad cover for kids will never slip out of place of cover-up ports, so you will always have access to these features. 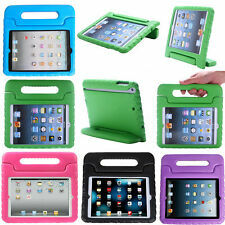 Non-slip handle: The iPad cases are made with easy-grip, textured handles so kids can carry their devices with ease. 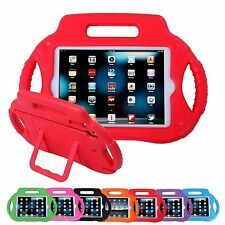 Protective frame: In addition to the foam protective outer layer, the kids iPad cover includes a plastic from that snaps on to the device for extra shock-proof protection. 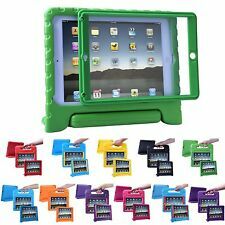 Do the iPad covers come in different colors and styles? Yes, there is a plethora of styles and colors you can choose from as well as fun shapes for the kids. 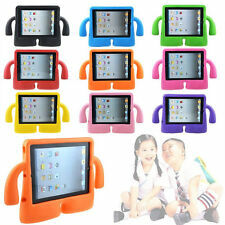 Whether buying for a boy or a girl, eBay is sure to have a case that will suit your needs and preferences. 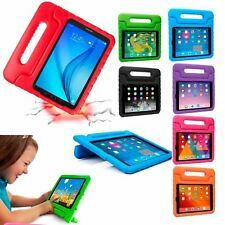 How do you choose a kids iPad cover? 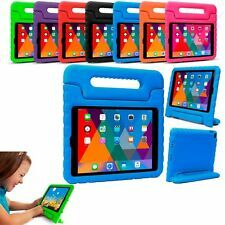 Choosing a cover for your child's iPad is based on yours or your child's preference in shape, style, and color as well as textures that will appear on your device cover. Another way to choose the right cover for you is to think about whether you would like a kick-stand or not. On many kids iPad cases, the handle doubles as a handy kick-stand. How do you insert an iPad into the case? On one end of the iPad case, you will find a slit where you insert the iPad. Open this slit and you will find the plastic protection frame. Place the iPad into the frame, and it should snap right into place. Take the frame with the iPad in it and insert this into the slit. Pull the edge of the foam case over the end of the iPad. The device should be completely covered and the device should not slip out. Content provided for informational purposes only. eBay is not affiliated with or endorsed by iPad.